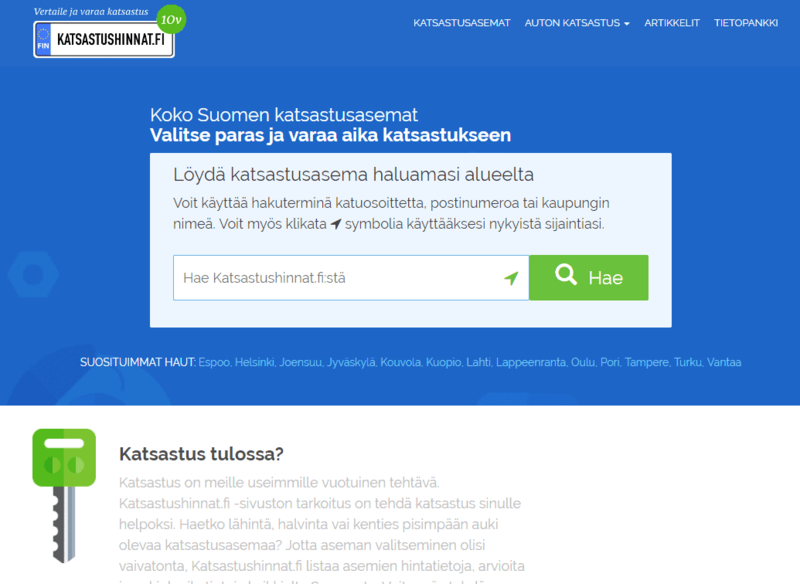 Katsastushinnat.fi is Finland’s most prominent price comparison website for car safety inspections with over half a million visitors every year. Mukava’s team designed its technical architecture and developed the site using WordPress. Katsastushinnat service is a perfect example of a complex WordPress project, where the part visible to the end users is just the tip of the iceberg. Under the surface, the website boasts a complex ranking algorithm for listing the stations, integrations to multiple 3rd party APIs, as well as sophisticated analytics system for tracking key KPIs.